1. Which pages of my store or website did the customers browse? 2. Which particular goods were they interested in? 3. Which items did they add to cart and which of them did they actually buy? 4. How much time did they spend on my website and on particular pages of it? And surely, there’s much more info you can get from Convead. 5. Create one-timed or automatic email notifications. Watch the output of each email delivery. - Install the app here and you’ll get straight to the service interface. That’s it! 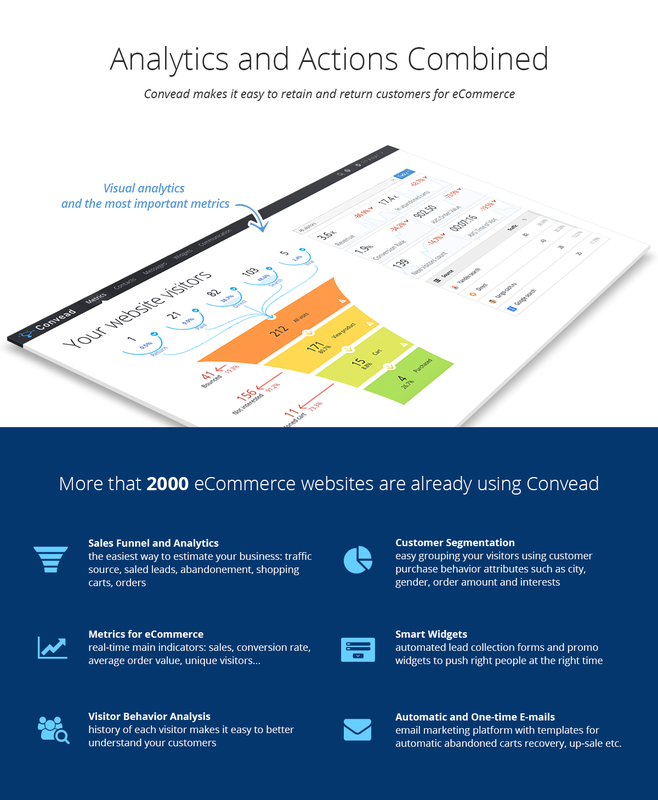 Convead will automatically create a new account for you and connect your Ecwid store. We hope you enjoy using Convead. Any feedback is appreciated! Last edited by Rick G; 07-29-2016 at 12:15 PM.